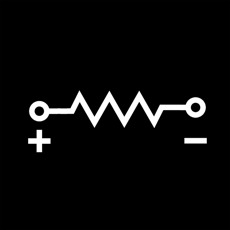 Ohm's Law calculators for current, voltage, resistance, and power. You may key in two of the four factors in Ohm's Law. They are Power (P) or (W), measured in Watts, Voltage (V) or (E), measured in Volts, Current or Amperage (I), measured in Amps (Amperes), and Resistance (R) measured in Ohms. The needed factor will be calculated for you when you key in the needed value.